If you're searching for a serviced office to rent in Huddersfield, MOVEHUT has all the tools you'll need to ensure it runs smoothly. You can choose to browse by the type of property you're interested in, thanks to the functionality of our property search features. Start browsing for your Huddersfield serviced office, and find out why MOVEHUT is one of the most popular commercial property websites. If you're planning a serviced office search in Huddersfield to rent, then be sure to take a look at our tips here at MOVEHUT. More than likely you have a good idea of the size of rental property you require, so make sure you don't accept any serviced office that doesn't fit your needs. Being aware of these factors, when browsing the great listings at MOVEHUT, can ensure your search for a serviced office to rent in Huddersfield produces the right results. If you have found a serviced office you like in Huddersfield, we think it's always key to view a property in person. Of course you want the property to be in good condition, so be sure to check the quality of the exterior. Obviously you want any serviced office to have the proper paperwork and official checks, like an EPC certificate for example. 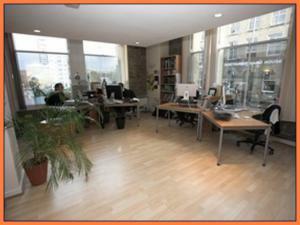 With MOVEHUT's tips in mind, you should find the ideal serviced office in Huddersfield to rent. Are you wondering if serviced offices to rent in Huddersfield are suitable for you? Many times, searching for serviced offices in Huddersfield can make you wonder what they offer to you and your business. 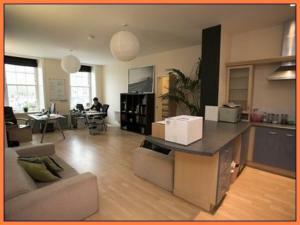 Serviced offices in Huddersfield would be a logical choice for your business if you want to be flexible on lease terms. Its ability to be able to manage the technical infrastructure in Huddersfield like telephones and IT, may also be another reason to choose a serviced office. 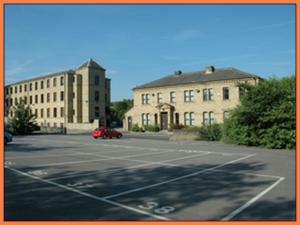 If your business is looking for offices in Huddersfield, consider the benefits serviced offices could offer. One of the reasons you might choose serviced offices in Huddersfield is that your business will benefit from a staffed reception desk. Another reason is that many serviced offices in Huddersfield provide on-site IT support so there will be no need to ever make call-outs. So take a look at the serviced offices to rent in Huddersfield at MOVEHUT right now and your office move plan could go really smoothly. If you find a serviced office on our website that meets your business needs, you will probably want to put an offer in as soon as possible. After making your decision to put in a rental offer, you can initiate proceedings with the owner of the serviced office. MOVEHUT love to see visitors to our site find their ideal serviced office in Huddersfield and have their offers accepted. Finding a serviced office for rent is easy, but you always have to consider what your exact budget is. Rental costs can be as low as £3,000 per annum, so even if you have only a small budget there is bound to be a serviced office in Huddersfield to suit your needs. We want to help you find a serviced office that matches both your needs and your budget to rent, so search MOVEHUT's extensive listings to take the pain out of your property search.